When she was 27 years old, Alison McKee of eTeddys underwent a kidney transplant. With her mother's lovingly donated kidney, Alison recovered. Shortly after Alison's surgery, a neighbor came to visit. She brought with her a teddy bear that she had made, for another friend, to show her. Alison through it was adorable. Inspired by her visitors creation, Alison decided that, since she had been sewing since the fourth grade, she could make a teddy bear and that's exactly what she did. In fact, she would make five big, floppy teddies from an old chenille bedspread by Christmas! With the encouragement of friends, she started to sell her bears. 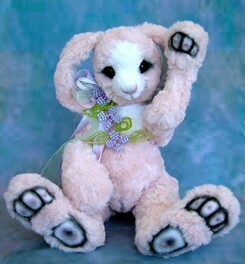 People would bring her their old clothing and Alison would turn their articles into teddy bears. 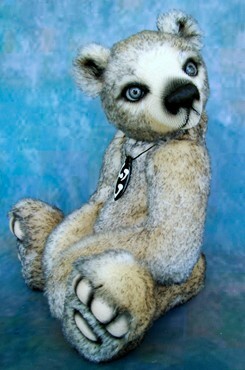 Alison discovered artist designed teddy bears on eBay. "I couldn't believe how beautiful the bears were and I definitely couldn't believe the prices they were fetching," she recalled. Alison told her husband, Robert, "That's what I want to do when I grow up!" 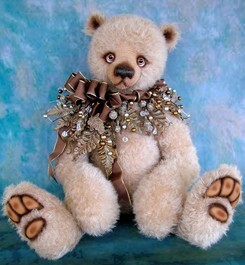 Trying her bear making skills using mohair, she knew she was on her way to becoming a teddy bear artist. She started her search for mohair with a local shop in Phoenix. 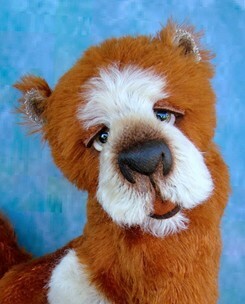 The shop sold bear making supplies and "I inquired about the cost of mohair and nearly croaked!" The shop also offered weekend classes so Alison decided that she had better take a class before she cut into expensive mohair fabric costing $80 and up per yard. 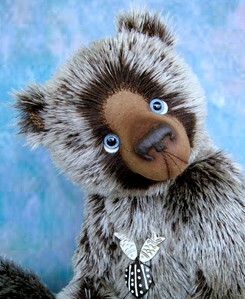 The bear making instructor, Beverly Judd, soon became her mentor and good friend. 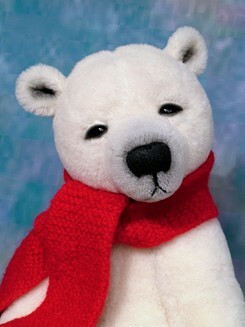 She helped Alison learn the basics and encouraged her to participate in a teddy bear show. 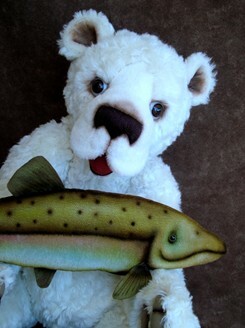 Beverly even traveled to several bear shows with Alison. "Bev was very instrumental in my beginning years in giving me the guidance and confidence I needed," she remarked. 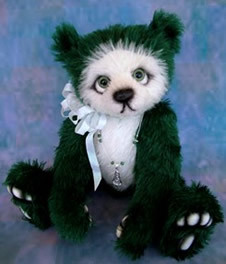 From her home in Phoenix, Arizona that she shares with her husband and two teenage children, Kelsey and Tyler, Alison works diligently on her truly inspired bears. 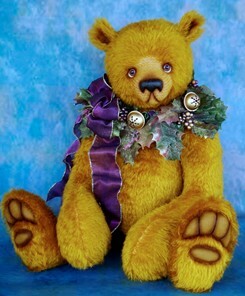 Now, ten years after her first bears made their way into the world, Alison is busy selling her eTeddys on her web site and online auction sites. "With two teenaged children, it's hard for me to travel to shows, but I did attend an expo last year, teaching my own workshop and had a great time." "I hope to travel to do more shows and teach more classes in 2009-10." 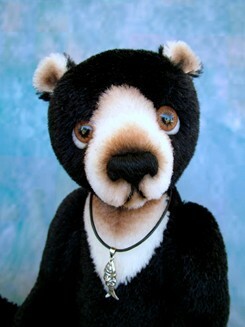 Alison designs about 10 new patterns and makes 50 or more bears per year. "That's not a lot of bears compared to full time bear artists. 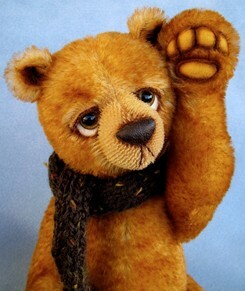 I take a lot of time with each bear and critter I create and generally make each of them start to finish," Alison acknowledged. Her daughter often pitches in during her summer break from school and helps with cutting and sewing the seams. While Kelsey helps with some of the production, the additional time is used for adding eye lids, waxing noses and finishing details. "But it's those aspects of my bears that I find make eTeddys really appealing to a wide range of collectors and it's well worth the time spent." With recognition stacking up for her work with such achievements as nominations for Golden Teddy Awards and the TOBY People's Choice, Alison feels a sense of accomplishment. "While I didn't receive the awards, I was thrilled to receive the nominations. 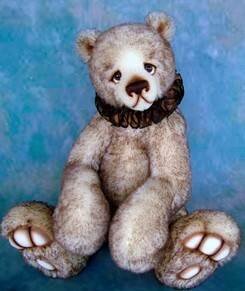 It was such a great feeling knowing that people in the teddy bear industry like my work," she remarked excitedly. 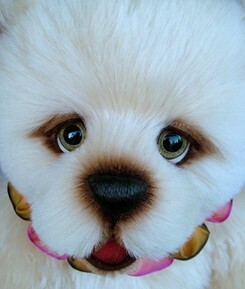 She's also been featured in several printed teddy bear magazines. When she's not making teddy bears, Alison spends her time with yet another type of animal; horses. "I love horses and hope to own one soon. I recently took a part time job as a barn helper at a horse farm." She cleans stalls and grooms horses and is learning everything she can about horses and how to ride. Alison also volunteers at a Dreamchaser PMU Rescue which is an organization that rescues and rehabilitates Premarin mares. "I never was the little girl who wanted a pony, but I have definitely grown into the woman who wants a horse." When not at her part-time job or in her studio, you can find Alison in her garden, cooking or on her computer. I love to cook and am now writing iReports for CNN. She's proud that her family loves to play board games. "My life is filled with old fashioned fun! And teddy bears fit right into our family lifestyle." Alison figures since she makes teddy bears, that she's all grown up. "But I'm still waiting on that horse!"